The Collection Kit includes: 24 (12”x12”) sheets of double sided premium papers (48 different designs), 7 sheets of embellishments, pocket cards and borders. Enjoy super cool embellishments like the shaker style airplane and the camera shaped pocket. Pocket cards loaded with heartfelt sentiments that will inspire the storyteller in you. 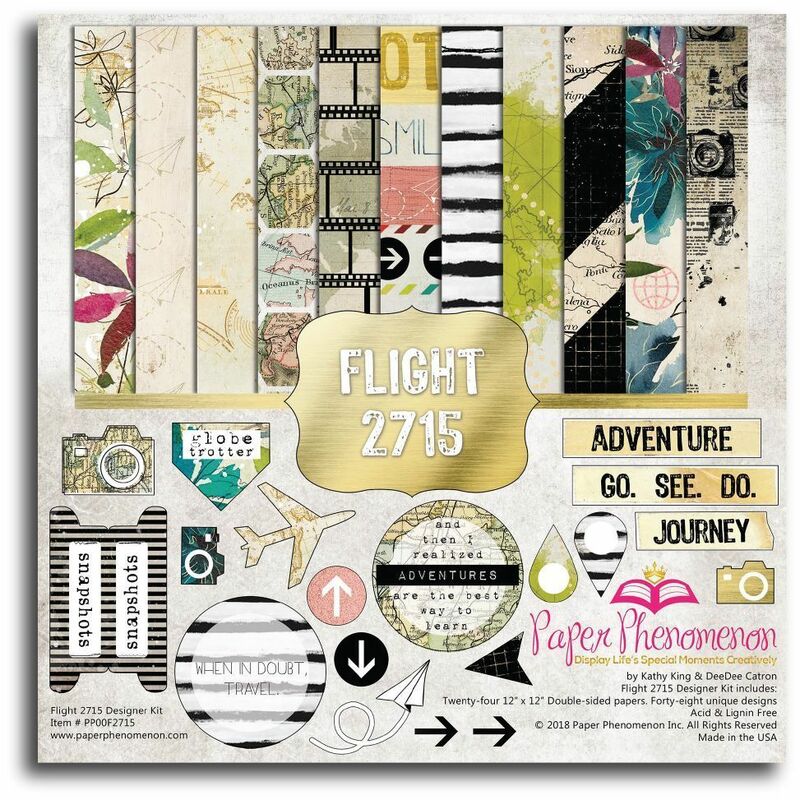 Flight 2715 is a travel themed paper collection that will compliment all trips near and far. Each paper in the collection is loaded with vibrant colors, elegant designs. Elevate your projects with paper collection Flight 2715 -- the sky's the limit when creating projects.